Video verification provides security managers with a powerful tool to mitigate risk and capture vital information on pertinent security threats. With the addition of cloud hosting, video verification has become an incredibly powerful tool with the potential to transform your physical security plan. Learn more about the many benefits of a cloud-hosted video verification system in this week’s blog. 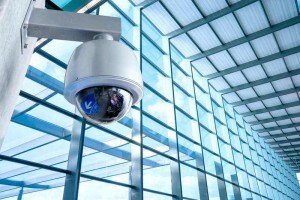 Cloud-based video verification systems are at the cutting edge of security technology. The applications for video verification systems are nearly endless. They allow security managers to not only verify intrusions and safety events but they can also provide preventative security by linking to existing alarm systems, access control, and more. Best of all, these systems can be totally customized to meet the needs of your specific institution or organization. Video verification offers the user the ability to keep tabs on employee movement, visitor interactions, and unexpected (and potentially threatening) activity. By utilizing cloud-hosting for your video verification system, your physical safety management plan can become more mobile, dynamic, and responsive to intruders and invasions. Cloud-hosting allows data gathered from multiple cameras to be downloaded to a central database where the systems manager can quickly and easily search for information. Users can even search by their employee’s name to view footage of recent comings and goings and ensure that their activities match up with their stated intentions. For another example of how this technology can be utilized, imagine a systems manager who is concerned about after hours access to a certain area of their organization. A cloud-hosted video verification system can be set up to automatically record activity at a particular entrance when a sensor is triggered, giving the user verifiable proof of nefarious activity. This system can even be programmed to automatically send a text message to the systems manager to alert them in real time of a potential security threat, giving them the upper hand in responding appropriately. This entry was posted on Thursday, October 22nd, 2015 at 5:48 pm. Both comments and pings are currently closed.